The Lantana plant is from the Verbenaceae family, according to North Carolina State University. It is a small perennial shrub that exhibits a spiny stem that is fragrant when crushed, as well as long-stalked flowers that are white, pink or yellow when young, changing to orange or red when mature. Lantana is beautiful but highly dangerous. Lantana often grows along roadsides and fences throughout warmer regions in the United States, such as Florida, California and the Carolinas. In the northern U.S., it is found only in gardens and greenhouses as an annual plant. Lantana varieties are considered a major weed throughout the states due to the plant's invasive nature. Lantana plants will remove native plants and animals if allowed to grow. Control of Lantana requires pulling or pesticides. The Seminole County Government Extension service says fire removal does not work due to its regenerative properties. Animals grazing in fields are often poisoned by Lantana. According to the University of Illinois, animals with substantial forage crops available will avoid Lantana because of how pungent it tastes and smells. The foliage and ripe berries contain a toxic substance that poisons both animals and humans. It must be ingested, but contact with the bush may cause a slight irritation that lasts a few minutes. 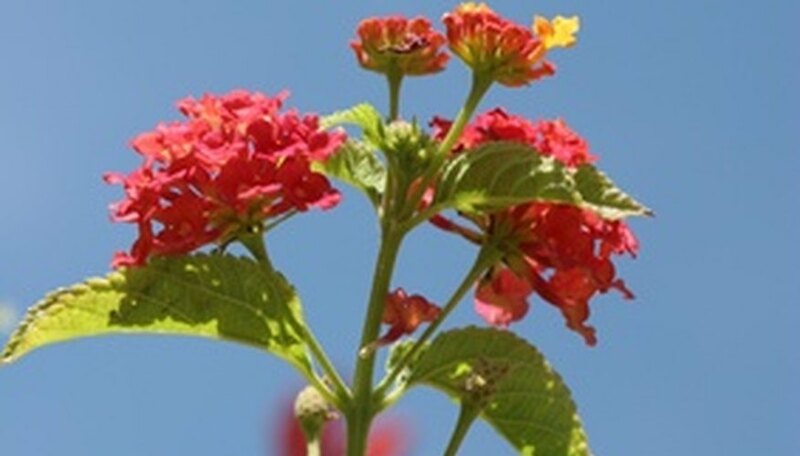 The Lantana plant contains the poisonous substance lantadene A and B. Pentacyclic triterpene acids, including reduced lantadene A, dihydrolantadene A and icterogenin, are also found in the plant structure. Lantana causes photosensitization within one to two days in most animals and people who ingest a toxic dose of it. A toxic dose is 1 percent of the animal's or human’s body weight. Jaundice occurs due to a shutdown of the liver. Appetite loss, an inability to digest and constipation are common. Death may occur within one to three weeks, after weight loss and illness. Ulcers occur in the mouth, and a reduction of all mucus membranes takes place. What Flowers Are Poisonous to Dogs? What Makes a Foxglove Plant Poisonous?